Like thousands of Kolkatans former India captain Sourav Ganguly’s favourite team is Brazil but at the same time wants to be captivated by Lionel Messi’s skills. “I am looking forward to Messi magic. He’s yet to win a World Cup. 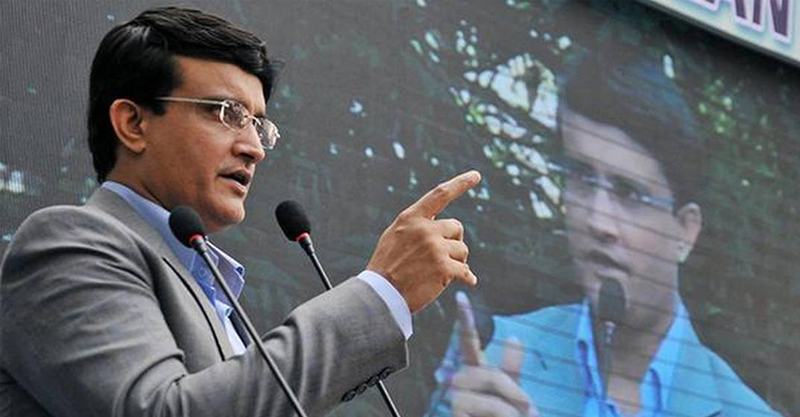 It’s going to be a big World Cup for him,” said Ganguly, who has plans to watch the finals. He further picked Brazil Argentina and Germany as the teams to watch out for in Russia 2018. “Brazil is my favourite team but I am a Messi fan,” he conceded with a smile. Ganguly also extended best wishes to Arjun Tendulkar, who has been selected for the India Under-19 side which will be touring Sri Lanka next month. “Lots of wishes to him. I have never seen him play. I hope he does well,” he said of the son of his long time teammate Sachin Tendulkar. Ganguly further said Virat Kohli and Co are overwhelming favourites to win the next month’s full series in England. India captain Kohli’s phenomenal batting form has fetched him the BCCI’s best cricketer award for two seasons and Ganguly said he should just keep playing. To honour former president Jagmohan Dalmiya, the BCCI has rechristened four awards in remembrance of the late administrator. “It’s a great news. The proposal was put forward during the BCCI working committee meeting two years ago. We are very happy because he deserves every bit,” Ganguly concluded.